To the guys that have fitted an Evotech tail tidy - Was it a straight forward job and roughly how long did it take? Any tips or hints would be much appreciated. I want to do it this weekend, but my time slot may be quite limited. Do a search on YouTube for fitting Evotech tailtidy to S1000XR. 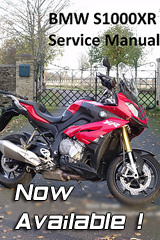 There a good video of a guy on there fitting the tidy to his S1000XR.